Chapli kebabs are famous street food that comes from the Northwest province of Pakistan. 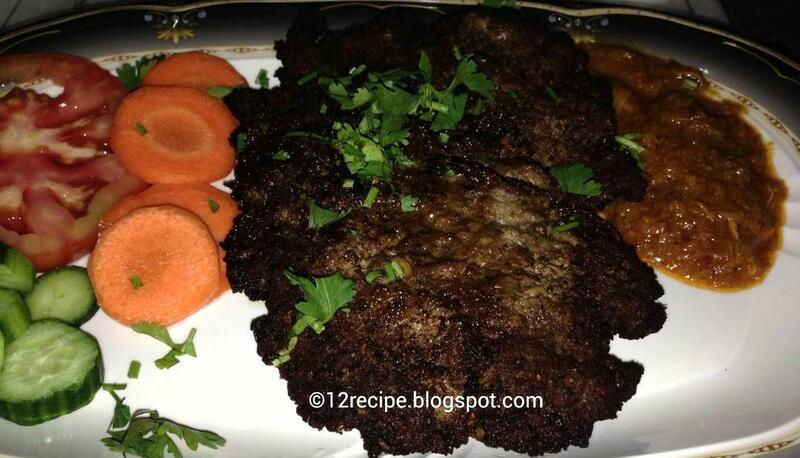 It is also known as “Peshawari kabab”. It can be easily made at home with few ingredients. Chapli kebabs carry a unique taste and flavor. This kebabs will be little bigger in shapes than the usual kebab rounds. 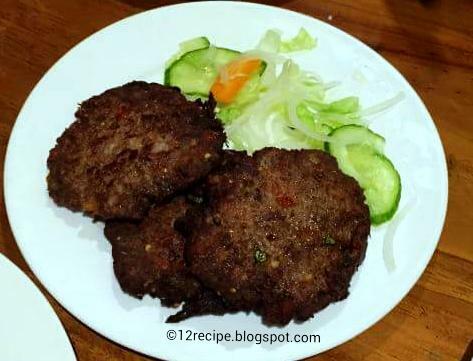 Minced beef, minced mutton or minced chicken is used for making kebabs. Here is the simple recipe of Chicken chapli kebab. Grind the minced chicken pieces to a coarse paste. Grind onions chopped in to a smooth paste. In a large bowl add these minced chicken, onion paste, ginger garlic paste and all the spice powders. Add two beaten eggs and corn flour in to it. Mix well. Grease your palms with water. Take 3 tbsp of kebab mixture on your palm; shape in to balls and then flatten it by pressing well. Make all the kebabs in such a way. Cook on low- medium flame for few minutes until cooked well. Press the kebabs well with your hands or with a ladle while cooking. Chapli kebabs must be dark brown in color after well cooked. Serve it hot along with some chopped vegetables, onion gravy or yogurt.